collaboration environments for teams including connecting with other development tools, such as Eclipse and Xcode. Microsoft’s approach to Application Lifecycle Management (ALM) provides a flexible and agile environment that adapts to your team’s needs, removes barriers between roles, and streamlines processes so you can focus on delivering high-quality software faster and more efficiently. In addition Visual Studio and Microsoft Azure extends application lifecycle management to operations, enabling production usage information and actionable diagnostics to be used by development teams earlier, and a more effective build measure- learn cycle to be nurtured. 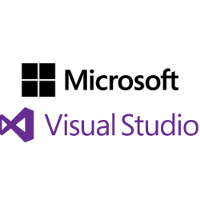 Moreover, for Visual Studio Online, the integrated Analytics solution provides data in real time.